« C J Tosses The Blog To The Dogs! political fight in Washington D.C. is over and everything is calm again. leadership for denying our military families their death benefits, etc. to run things when elections come around again. judging from what we all bore witness to in the past weeks. like getting up there—frankly, it makes us both a little dizzy up there. stuff this blog was intended for. WHEN CAN I BE REALLY SURE THAT A POLITICIAN ISN’T LYING? 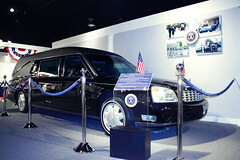 WHEN YOU SEE HIM GO BY IN A HEARSE!!! Have a wonderful day all…and we hope, a much better week than the last. This entry was posted on October 21, 2013 at 2:18 am and is filed under Cemetery, Death, Funeral Service Professional, Government Shutdown, Humor, Life, Loss, Soldiers, Thought For Today, Veterans with tags Family, Family Resources and Support, Mouse. You can follow any responses to this entry through the RSS 2.0 feed. You can leave a response, or trackback from your own site. I hope we do better next time, the point is the clowns are all the same, you don’t see new blood coming up. To that Doggy, I say, “SEND IN NEW CLOWNS!” Haha! We can hope. Hey, how about, ‘Doggy for President?’ Thanks for popping in!